The president and CEO of the Hawai‘i Tourism Authority (HTA) George D. Szigeti, issued the following statement commenting on Hawai‘i’s visitor statistics results for 2017. “What tourism generated for Hawai‘i in 2017, highlighted by record totals in the five major categories that convey the industry’s importance to residents and the state’s economy, is rewarding and should not be taken for granted. It’s especially heartening that tourism is supporting 204,000 jobs in Hawai‘i, knowing how the industry’s success helps families, businesses and communities statewide. 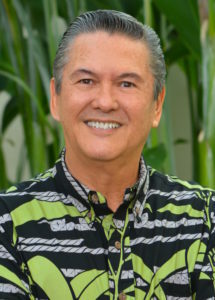 “We are grateful for the efforts of Hawai‘i’s tourism industry partners to constantly improve their facilities and product offerings, and the outstanding service that our tourism professionals provide to visitors coming from around the world. HTA’s marketing programs drive travel demand for Hawai‘i, but it’s the warmth and aloha of our people throughout the islands that keep them coming back.